First, there is a tornado that in Texas today and tonight. 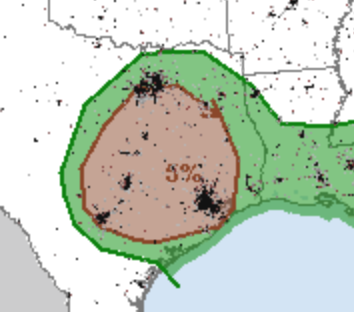 And, the threat area (brown, 5%) includes Dallas, Austin, San Antonio and Houston. We don't normally think of tornadoes as a threat on New Year's Day so please keep up on the weather in that region. I'll post later on if a tornado watch is issued. 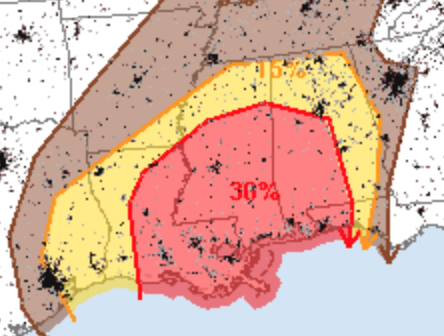 This is a map of all hazards (large hail, tornado, damaging thunderstorm winds) where the yellow (15%) is the significant threshold. 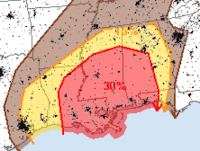 There is a chance of a strong tornado or two in this area. The flood threat I wrote about yesterday is materializing. Here is the seven day rainfall forecast. 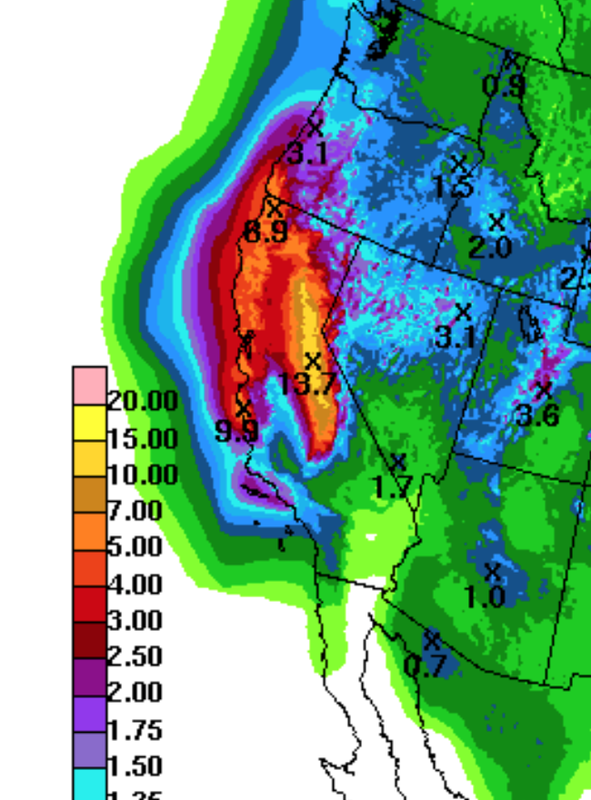 Yes, that is 13.7" in the mountains with 9.9" along the central coast. In the Sierra, most of the precipitation at higher elevations will be snow, which will be excellent news for water storage purposes. However, some of the models are showing very heavy two-week amounts at lower elevations which is where the flood threat could originate. The weather pattern in question is a Pineapple Express which is known for heavy rain in California. If it sets up, it still still be another few days away and any flooding will be beyond that. Stay tuned.